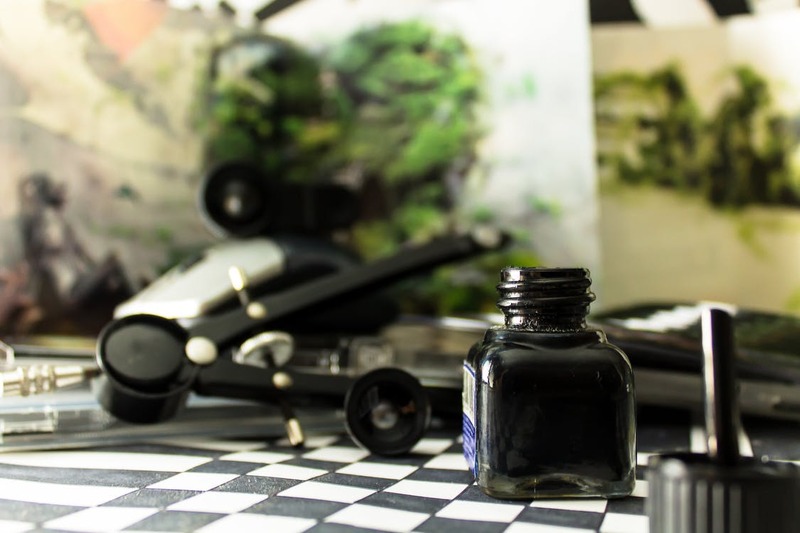 Creating your own ink is a fun way to personalize your writing, and best of all, you can make it using ingredients you find out in the wild or in your mess hall! Glass baby food jars make great storage containers, and there are plenty to be found in the craft cabin! Berry Ink. Push ½ cup fresh or frozen berries through a strainer to create a pulp-free juice. Add ½ teaspoon of vinegar and ½ teaspoon of salt, and mix well. Pour mixture into container for storage. Walnut Ink. Crush ~15 walnut shells by placing them in a sock and lightly tapping them with a hammer, then pour into a saucepan and cover with water. Allow the mixture to simmer for about 30-45 minutes, then remove from heat and allow to set overnight. Strain the shells from the liquid, add ¼ teaspoon of vinegar, and mix well. Pour mixture into container for storage. Indigo Ink. Using the indigofera tinctoria plant, create several bundles of leaves. Place the leaves in a large bin, and fill with water. Place several heavy rocks in the bin on top of the leaves and allow to soak for 24 hours. After allowing to soak, remove the leaf bundles and rocks, then add a small amount of lye (1/4c per gallon of water – you’ll want to put your gloves on before this step!) to the water; stir vigorously for approximately 20 minutes, until the mixture begins to bubble. Pour mixture into containers for storage. Invisible Ink. Take a Q-Tip or paintbrush and dip it in lemon juice. Write your message. Dip your quill into the ink of your choice and start writing! If you’re not familiar with using ink this way, it can take a little practice! We’d love to see your ink projects, so please share via Twitter, Instagram, or on the Camp Bulletin Board! Posts from the International Geek Girl Pen Pals Club HQ, Learn more about IGGPPC here.